Viele Firmen haben gar keine Daten, um etwas über den Erfolg oder Misserfolg ihrer Social-Aktivitäten zu sagen. Andere haben Zahlen, Daten, Fakten – gehen aber förmlich darin unter, weil es zu viel Informationen sind. 39% der Firmen tracken Socialmedia-Aktivitäten nicht. 95% aller Posts von Usern auf der eigenen Seite bleiben unbeantwortet. Nur 44% aller Kundenanfragen auf Twitter werden innerhalb von 24 Stunden beantwortet. Das alles spricht für den Einsatz von Social Media Dashboards, Programmen, die das Verwalten aller Social-Profile über eine Plattform erlauben – und zwar nachhaltig: Die Nutzerbeiträge/Kommentare werden als Threads dargestellt, die aktuellsten erscheinen ganz oben & können sogar Mitarbeitern als Aufgabe zugewiesen werden. Eigene Posts können getimed werden und ein Social Media Reporting ist damit am besten auch noch verknüpft: So kann man immer sehen, was über das eigene Unternehmen, die Marke, das Produkt in den sozialen Netzwerken gesprochen wird und ggf. einschreiten – mit Hilfe, Kommentaren, Anmerkungen, Antworten oder ähnlichem. Damit das nicht so endet wie bei denjenigen Unternehmen, die in der Infografik dargestellt werden, haben wir mal eine Übersicht von Dashboards beastelt. Der Bundesverband Digitale Wirtschaft (BVDW) e.V. hat mit einer Richtlinie branchenübergreifende Grundlagen für Social Media Monitoring geschaffen. Indem die Medientypeneinteilung die Erfassung und Kategorisierung von Medieninhalten vereinheitlicht, sollen Qualität und Aussagekraft der analysierten Monitoring-Daten erhöht werden. Zugleich sieht die Richtlinie eine Reduktion der manuellen Aufwände bei der Datenanalyse vor. Durch diese Vereinfachung sollen insbesondere Nutzer von Monitoring-Systemen profitieren. Der Verband sorgt mit dieser Richtlinie für die dringend erforderliche Transparenz für Anbieter und Anwender von Social Media Monitoring. Die BVDW-Richtlinie berücksichtigt sowohl jegliche Arten von Social Media (z.B. 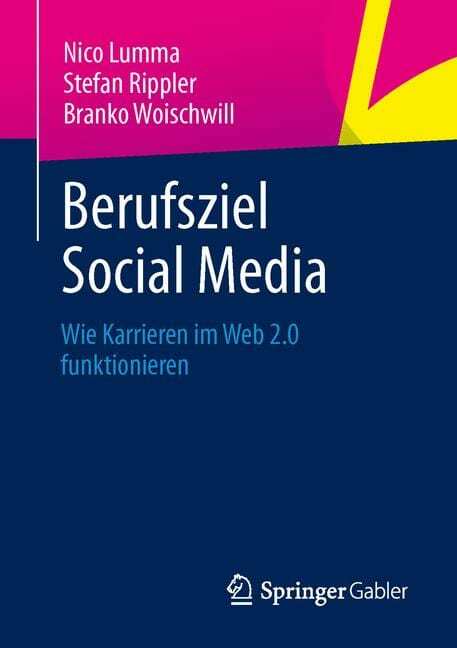 Social Networks, Microblogging Plattformen, Weblogs, Foren, Bild- und Videoportale sowie Bewertungsplattformen) als auch Webseiten mit integrierten Social-Media-Funktionen zum Teilen oder Bewerten (z.B. Presseportale, Nachrichtenplattformen, Unternehmenswebseiten). Social media analytics or social analytics is increasingly important as businesses seek to optimize, measure, and monitor the performance of their social media campaigns. But, there are SO many tools, it's hard to know which are best. Hence, this list. Social media analytics made clear and simple. evalue analytics is a social engagement measurement platform that offers accurate information about the social presence of each brand on various networks (Facebook, Twitter, YouTube, and soon, LinkedIn). This tool enables users to obtain social media analytics about their social marketing strategy and benchmark against competitors. Let us show you a demo in action W ant to hear about how EmployeeScreenIQ was able to have some of their content go viral? Do you remember the story about employers asking for job applicants for their Facebook passwords? Social media analytics is a powerful tool for uncovering customer sentiment dispersed across countless blogs, Facebook, Twitter, discussion forums and other online sources. Try one of our free reports to analyze any brand page or web property across Twitter, Facebook, Google Analytics, Instagram, YouTube, or Google+. Get loads of beautiful data for free with a Tweet or Share. Curalate is the world's leading marketing and analytics suite for the visual web, starting with Pinterest and Instagram. We help brands tell their story through imagery in order to drive consumer engagement, build brand awareness, and form stronger, more meaningful relationships with consumers. Our offices are located in New York City and Philadelphia. Any marketing professional who wants to build an effective social media campaign based upon influencers in a specific industry should give [SocMetrics] a look. SocMetrics can help you harness the power of thought leaders, which in turn can help you build your brand and sell more. Analytics & optimization of social media marketing for brands and agencies. With SAS social media analytics and monitoring, gain insight from online conversations to capitalize on social media data. Learn how Social Reports provides actionable social media measurement to grow your community, increase sharing and improve social ROI. Sprout Social provides social media analytics with Google Analytics integration to track your engagement, measure the results of your social media campaigns & generate meaningful reports. Social media dashboards used by the world's biggest brands. Measure, analyze and engage your fans. The most powerful social media monitoring and analytics tool, chosen by pioneering brands and agencies all over the world. The Sysomos product suite gives you all the tools you need to measure, monitor, understand and engage with social media users. Covers all major social media sources With Sysomos, you get access to the most comprehensive database of social conversations, with real-time coverage and historical archive of more than 100 billion posts. Manage multiple networks and profiles and measure your campaign results across multiple social networks, including Twitter, Facebook profiles and pages, Google+ pages, LinkedIn profiles/pages/groups, plus plugin apps for YouTube, Vimeo, Instagram, Pinterest, Flickr, Salesforce and multiple email services such as Constant Contact and MailChimp. Looking to ease the burden in managing multiple social media platforms? The internet era is growing tremendously and so is the production and usability of mobile phones. Smart phones have gained the cutting-edge importance in the digital arena. They have become an indispensable and inseparable aspect of our routine. Live Webcast: Enterprise Social Media Success Join Business2Community and SAP on March 4th, 2013 for a special Webcast featuring Oliver Bussman, CIO of SAP. Oliver, recognized as the #1 Social CIO by Forbes, will discuss best practices for leveraging social media to drive awareness and engagement.